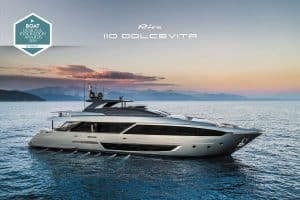 Ferretti Group reaches the top even in the snows of Cortina, with two dazzling trophies earned by Custom Line 120 Vista Blue and Riva 110 Dolcevita, two nautical masterpieces Made in Italy. 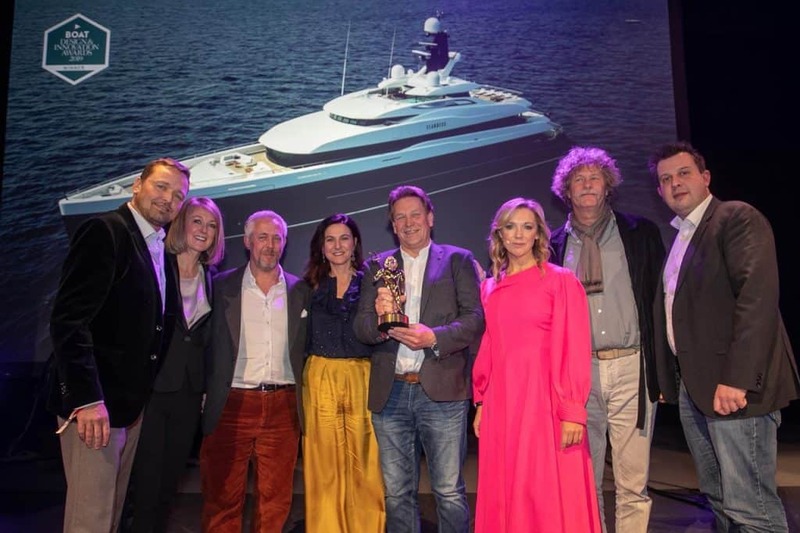 The Group also triumphed at the tenth edition of the Design & Innovation Awards, sponsored by Boat International Media, prestigious publishing group in the international yachting world. The Gala party took place in Cortina D’Ampezzo where the panel selected the winners in each category by assessing design, style and on-board comfort, taking into account technological and design innovation. 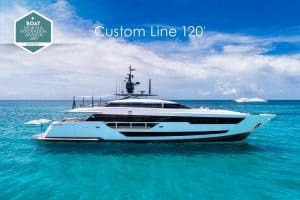 Custom Line 120 Vista Blue won in the Best New Production Yacht Design category. 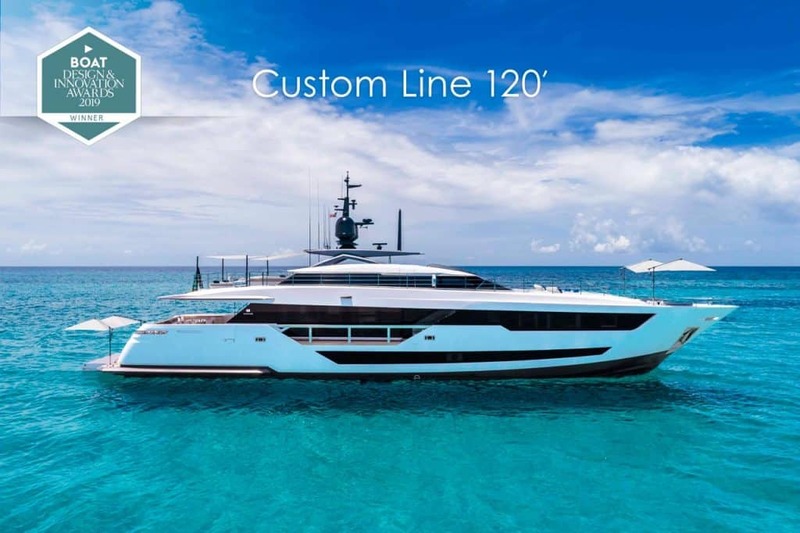 This new planing yacht conveys the values of seaworthiness, comfort, safety and customisation – all part of Custom Line’s DNA since the beginning – in a revolutionary product in terms of its style, design and spaces. Riva 110 Dolcevita won the award in the Best Exterior Styling Motor Yacht category. The result of cooperation between Officina Italiana Design, the studio founded by designer Mauro Micheli together with Sergio Beretta, and the Ferretti Group’s Product Strategy Committee and Engineering Department. The Grande Collection by Azimut Yachts receives its second award since the start of the year: the Grande 32 Metri, with exteriors by Stefano Righini and interiors by Achille Salvagni, climbs to the top step of the podium in the Naval Architecture category at the Boat International Design & Innovation Awards. A forward-thinking project from every perspective, Grande 32 Metri stands out for its combination of an advanced naval platform with an extremely refined architectural approach. 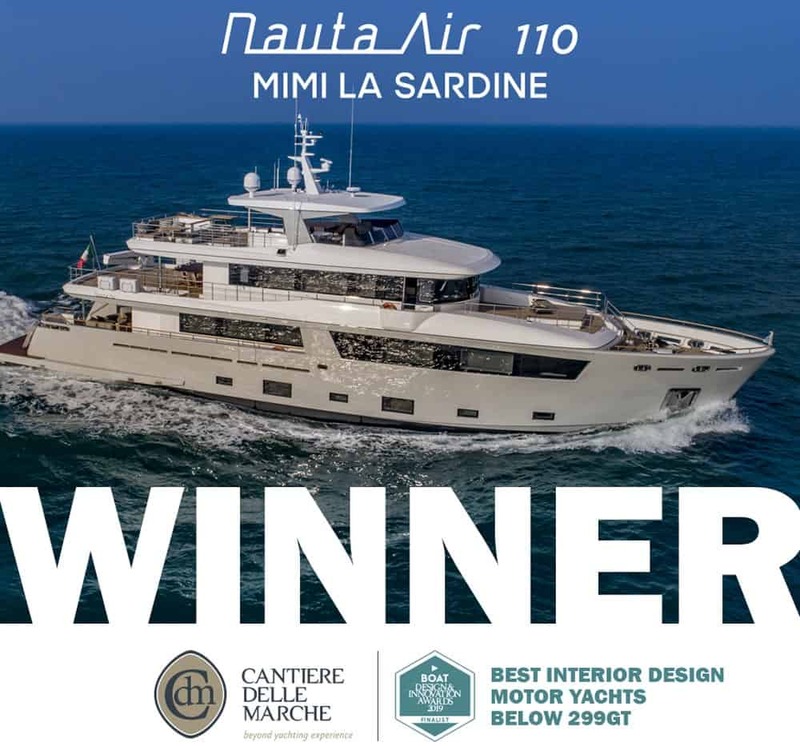 In fact, at its world debut during the 2018 Cannes Boat Show, the yacht received the Best Interior Design award in the World Yachts Trophies (24 to 38 meter category). 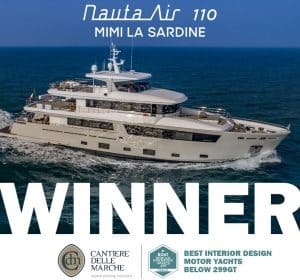 Mimì la Sardine, Nauta Air 110 bringing the signature of Nauta Yachts for both her exterior and interior design, won the prestigious prize for Best Interior Design in the category Motor Yachts below 299GT. The yacht, a pure explorer vessel, combines Nauta Yachts’ ineffable design elegance to Cantiere delle Marche’s undisputed technical expertise. A special tribute must be paid to the Owner, Maxine Leslau, whose enthusiasm, charisma, knowledge of design, materials and manufacturers, were pivotal to the extraordinary result. Her exquisite taste and capability to share her vision helped create Mimì la Sardine’s unique interior design and decoration.